Ever since its launch in November last year, Jawa motorcycles have been a talking point for many in the country. When the bookings started late last year, Jawa received immense support from the customers, so much that the company had to stop taking bookings online for Jawa bikes after the demand surpassed expectation. Now Jawa has confirmed that they will be starting the delivery of their bikes from next month onwards. Deliveries begin in March 2019. For customers who have selected dual channel ABS, deliveries will start in June 2019. Depending on your position in the bookings queue, you will receive a notification from your dealer. Thanks for choosing Jawa. 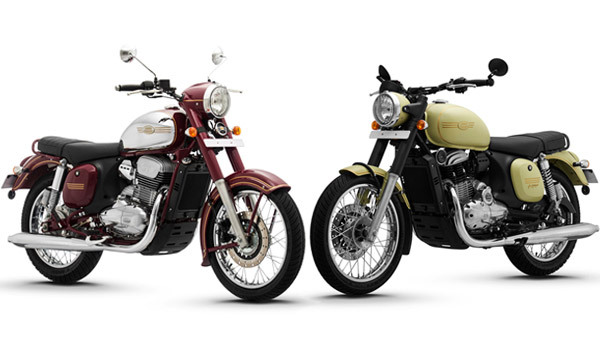 Ahead of deliveries Jawa is now in a spree to launch dealerships across the country. The latest Jawa showroom was inaugurated in Indore. Jawa will have a total of 105 outlets across country in the coming months. Jawa currently has two motorcycles in their line up. One is Jawa or Jawa Classic and the other Jawa 42. Both bikes get a 293cc, Mahindra Mojo derived single cylinder, liquid cooled engine that produce a peak power of 27 Bhp and 28 Nm of torque. 6 speed manual gearboxes are standard. The high revving unit has been optimized to have strong low end torque, and a highly acclaimed engine designer has also worked on the exhaust note of this motor. Jawa motorcycles is now owned by Classic legends and the company now has ambitious targets for the first year of sales. The company wants to sell no less than 7,500 units of Jawa Classic and Jawa 42 in the market every month. Keeping the upcoming the safety norms and customer demand in mind, Jawa has also launched a dual channel ABS versions of Jawa and Jawa 42. Classic legends has also priced the motorcycles very competitively. The standard, rear drum-brake version of the Jawa is priced at Rs. 1.55 and the Jawa Forty-Two is priced at Rs. 1.64 lakhs, both price ex-showroom. The rear disc and dual-channel ABS version of the bikes are priced at Rs. 1.64 lakh and 1.73 lakh respectively. Jawa also has a custom bobber in their line up which they have named as ‘Perak’. The Perak will also be launched in the market soon. The Jawa Perak gets a bigger bore 334cc engine and gets dual channel ABS with dual disc brakes as standard. The bigger engine of the Perak produces a maximum of 30 Bhp and 31 Nm. It is priced at Rs 1.89 lakh, ex-showroom, Delhi.